The most delicious bread, supplied daily by Bakers Delight Capel St Mary. 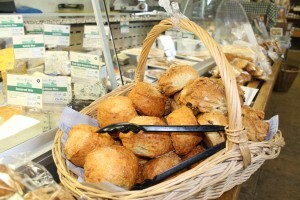 Large and small loaves, a variety of rolls, scones and baguettes – baked and stocked every day. We are always happy to organise special orders for regular products as well as other bakery items available from Bakers Delight. Please do not hesitate to make contact with the shop if you need further help.